A decline in memory is part of aging. It makes us forget some of the most mundane things that we encounter every day, people and events. Although being forgetful is essentially a human trait, at some point, it becomes an alarming condition that we need to address. Abundant Life Assisted Services, a provider of senior home care services in Georgia, works very hard to provide the best care for patients living with dementia. We know how hard it is to cope up with their condition. As for us, caregivers, we need to make sure that we can give them the right care they need. Although we cannot avoid it, we might be able to utter words that may appear offensive to our patients. Asking questions about what happened before and whether they can still remember these events or not may appear harmless. Questions that relate to their memory can be quite embarrassing and stressful for them. Since they already have trouble remembering dates and details, having to recall it would only add burden to what they already feel. Our patients can be quite a handful. Considering their situations, they can be very rude and uncooperative. Whenever we ask them to do something, they may not listen. In some instances, senior patients can be very demanding and persistent. If they do not get what they want they may throw some tantrums. When faced with such challenge, as caregivers, we tend to run out of patience and lose our cool. Sometimes when your senior starts mumbling things that do not really make sense. It is easy to get into an argument with them. The best way to handle our patient is to change the topic altogether rather than bicker with them. Instead of dwelling on it and taking it personally, you just have to drop it and distract them. Patients living with dementia also have a hard time coming up with their condition. Their check-ups and maintenance medicine should be delivered on schedule. Keeping this in check can greatly help their condition. Their medicines are the ones keeping them healthy and their doctor’s visits are helping them monitor their health. Delaying their healthcare needs can greatly affect them. Indeed, caregiving can be a challenge especially when you handle patients who have complex health conditions. But it is also important to remind ourselves that the actions and words that they utter are not done intentionally as they do not have control on their emotions anymore. Thus, we should take it seriously. 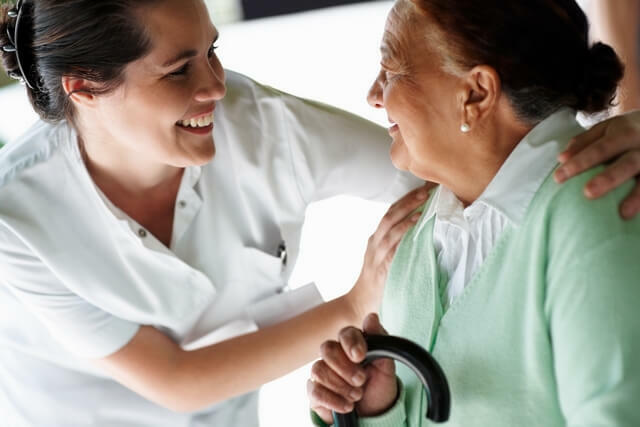 Getting highly trained caregivers and those specialized with Alzheimer’s and Dementia care at Abundant Life Assisted Services, an in-home elderly care provider can ensure that all the physical and emotional needs of your patient. For more caregiving tips, you can consult us or visit our website for details. This entry was posted in Elder Care and tagged Dementia, Elder Care Tips, Elderly Care, Health Care, Home Care, Home Health, Hospice Care, In Home Care, Senior Care, Senior Care Services. Bookmark the permalink.